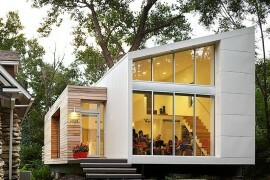 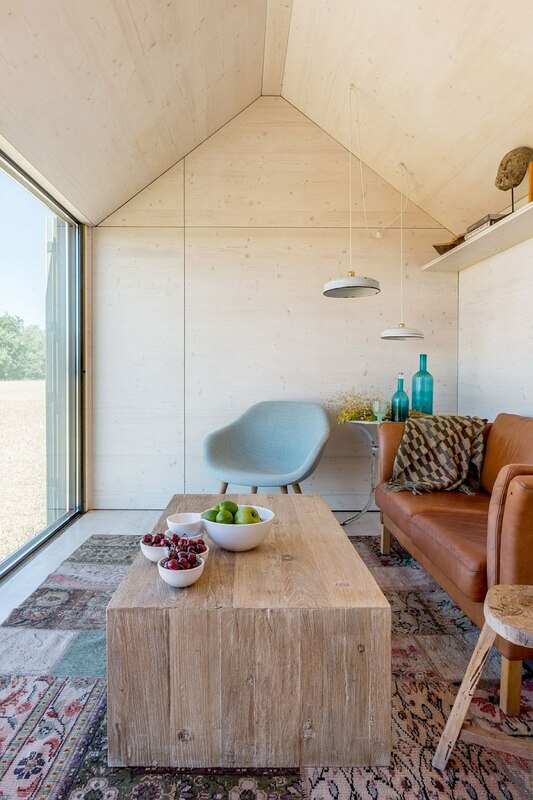 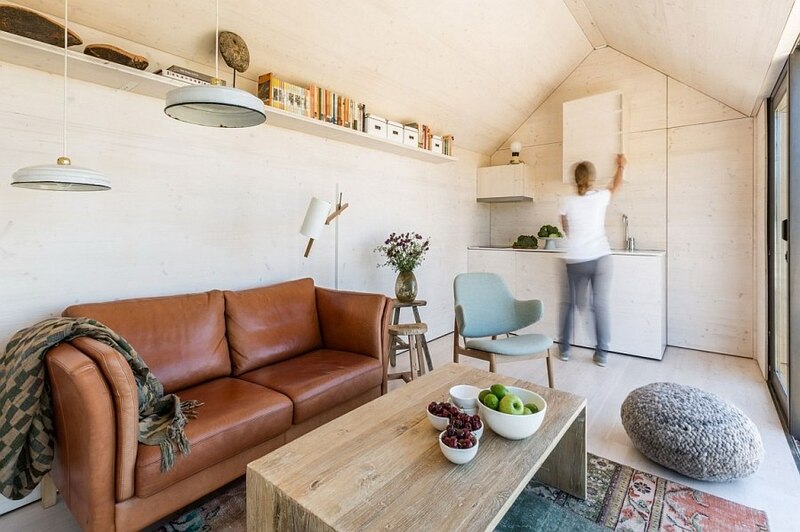 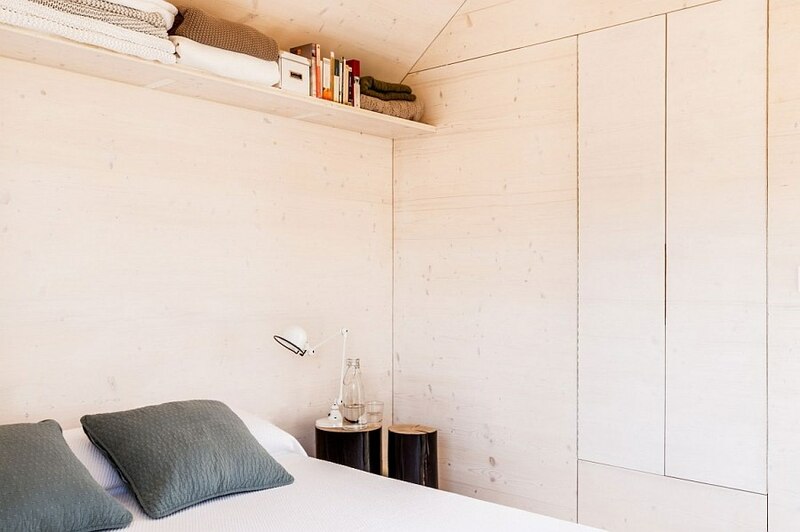 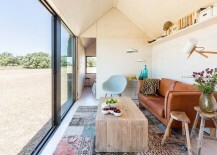 Offering creative and aesthetic solutions to those on the lookout for affordable housing, modern tiny homes have captured the imagination of design aficionados across the globe. 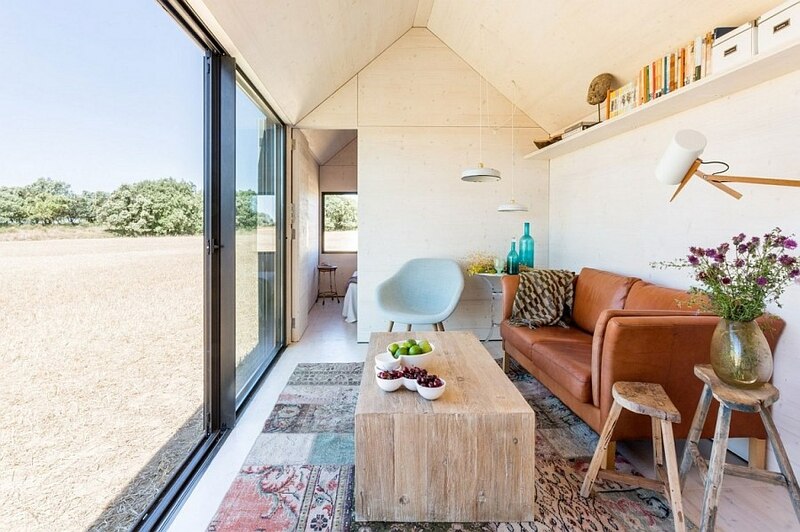 The art of building tiny homes is all about bringing together form and functionality in an ingenious fashion that makes the most out of the available resources. 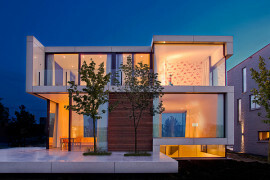 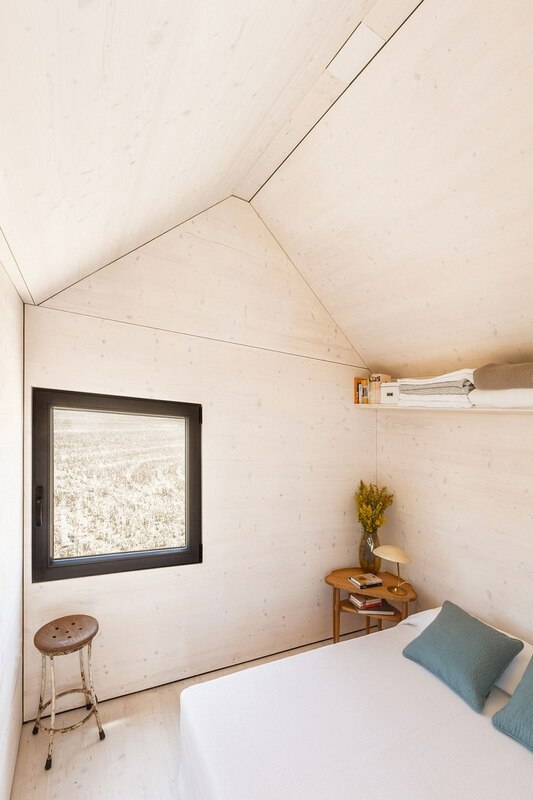 Designed by Spanish architecture studio ÁBATON, the portable APH80 fits this billing perfectly. 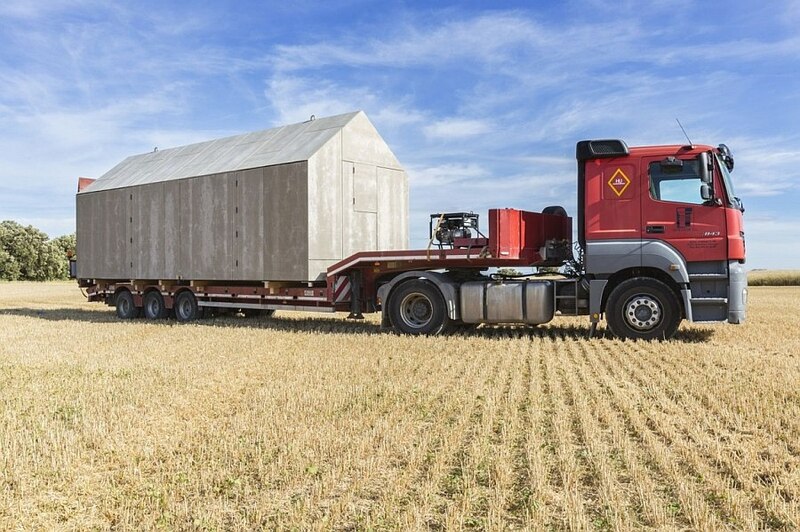 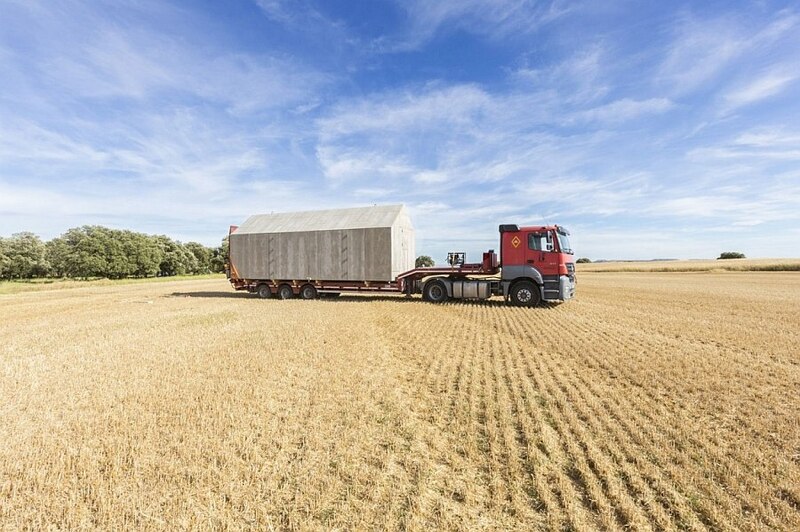 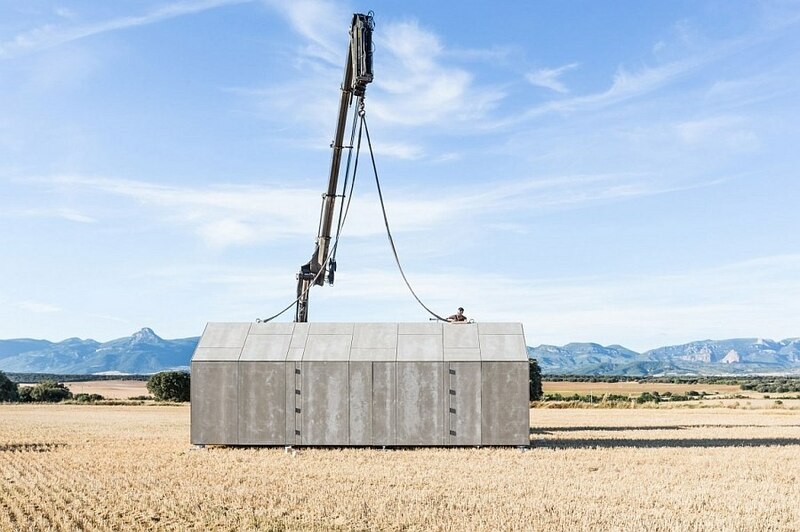 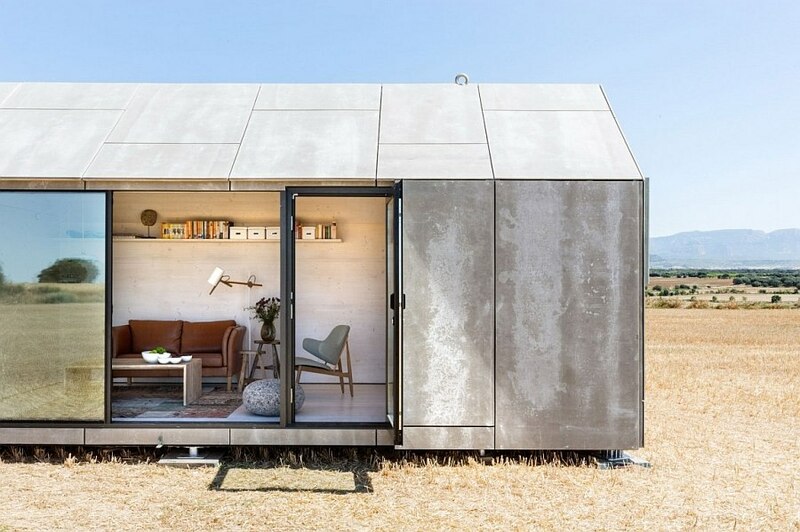 This transportable micro house can be located pretty much anywhere, thanks to its prefabricated design that ensures you have a complete home on site almost instantly! 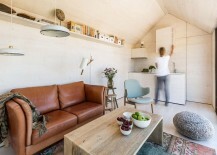 Designed to meet the needs of a family of two, the small home is spread across 27 square meters and has a gabled roof that gives the interior an airy vibe. 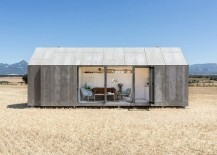 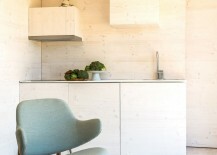 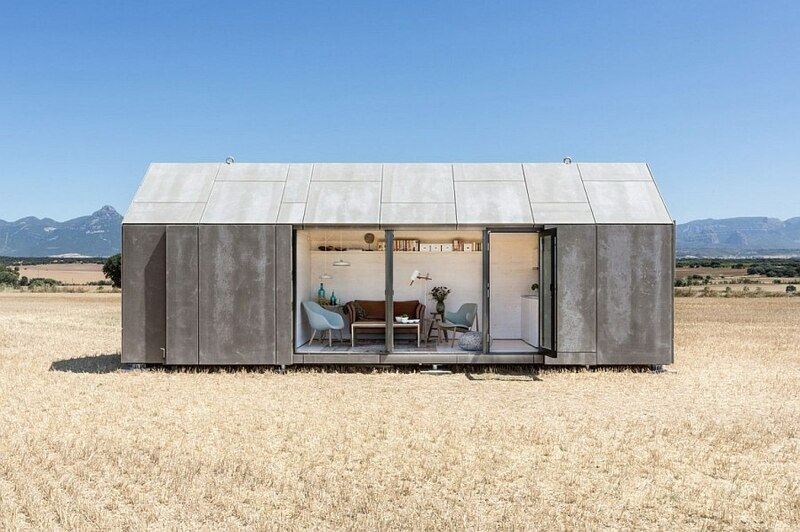 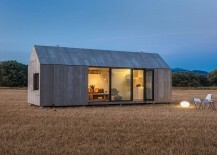 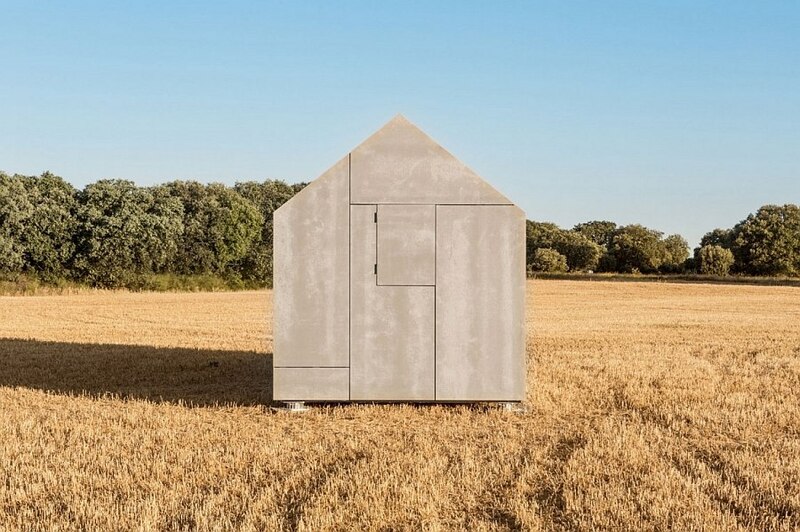 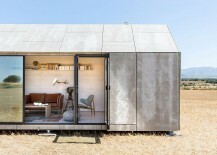 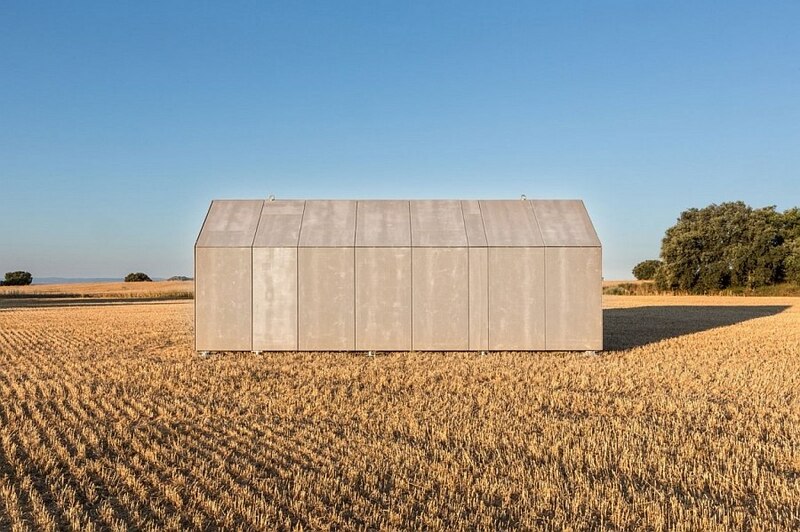 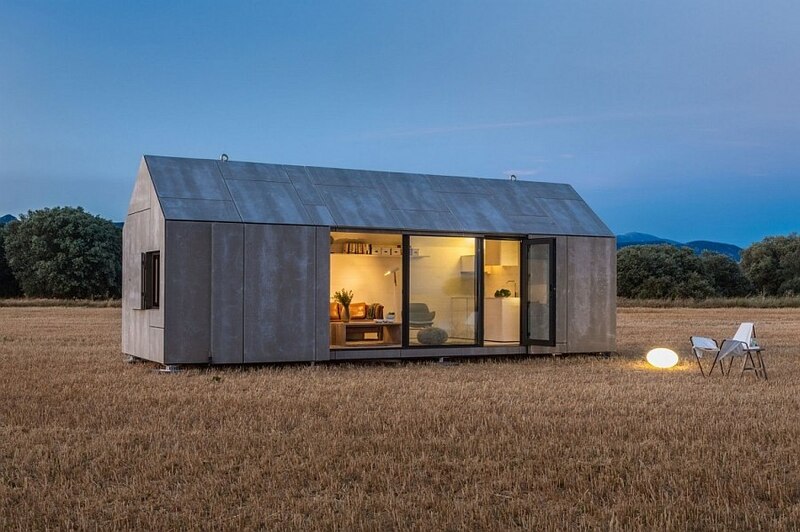 The exterior of the tiny home is clad in grey cement-wood board panels, giving it a unique and striking form. 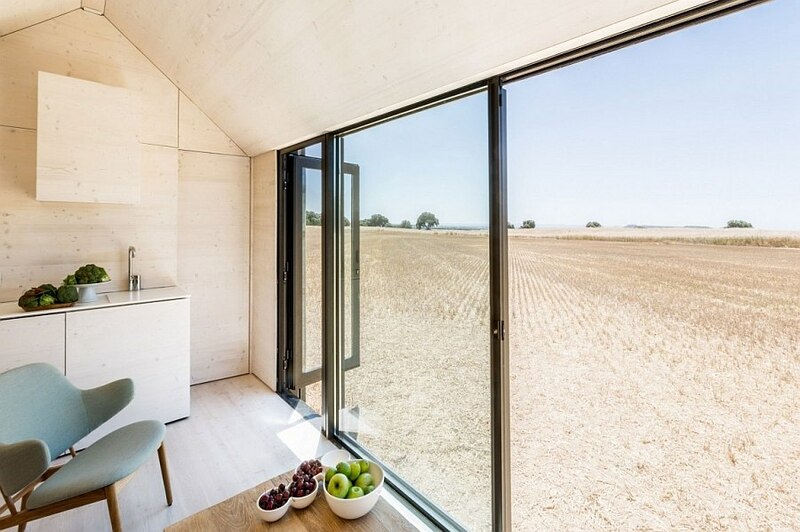 Some of these panels open up, revealing sliding glass doors that act as an interface between the living area and the landscape outside. 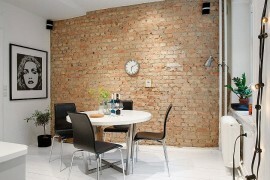 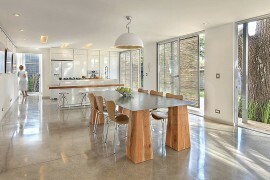 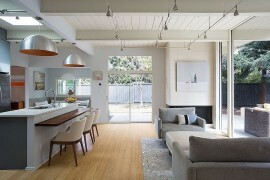 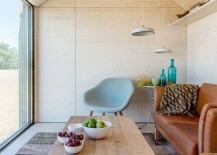 The design of the interior itself is simple and contains a small living area with a kitchen in the corner. 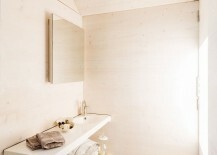 A double bedroom and a bathroom complete the smart home. 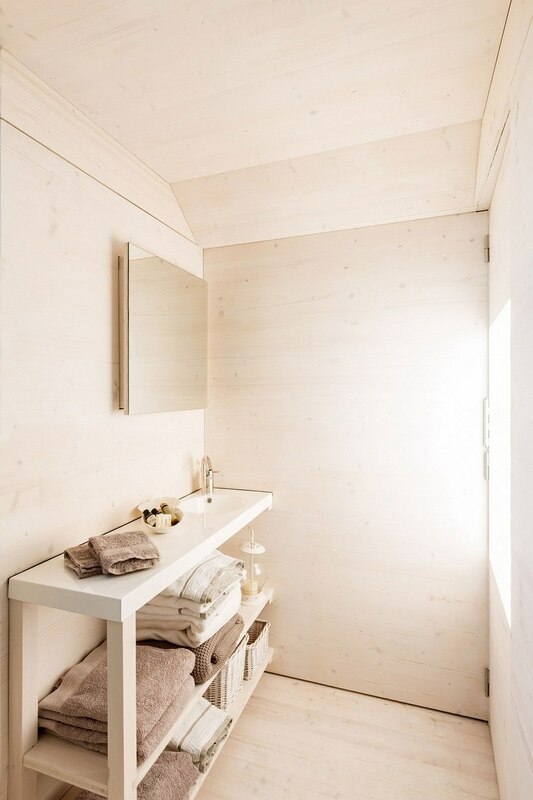 Spanish fir wood gives the living area and the bedroom a calm, serene vibe while creating a lovely neutral backdrop that lets your decor and accent additions shine through. 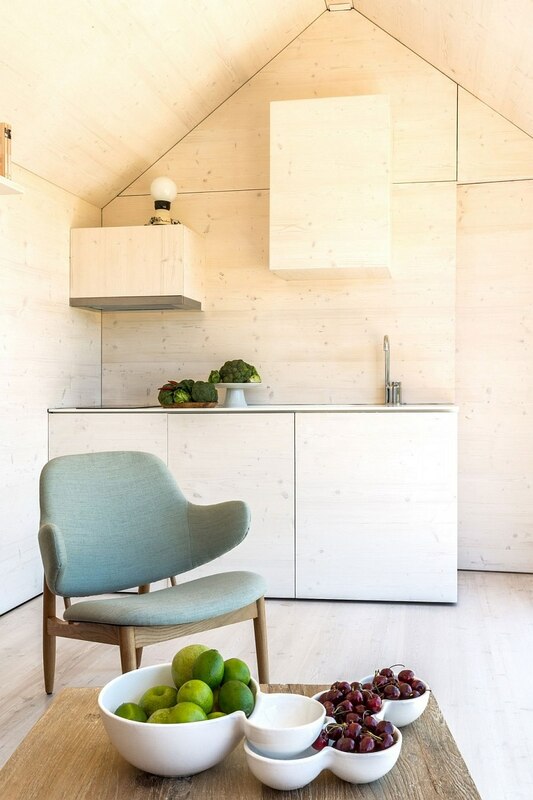 Another positive feature of the APH80 is its sustainable design, with most of the materials used being completely recyclable, while the wood used is obtained from planet-friendly regulated forests. 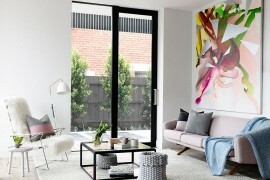 It takes just four to six weeks to manufacture one of these units and less than a day to put it all together, making it an ideal option for those searching for alternative, affordable homes.